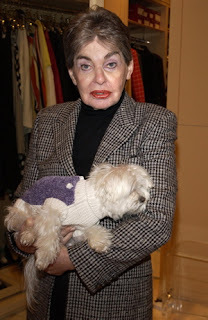 Today Leona Helmsley's dog Trouble joined an elite club of millionaire dogs. First the details on our newest millionaire. 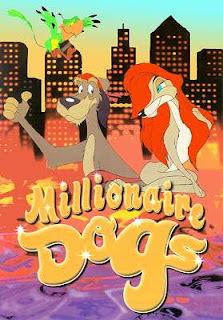 Trouble will continue to live an opulent life that she grew accostomed to over the past few years, when Helmsley left her beloved white Maltese, a $12 million trust fund, according to her will, which was made public Tuesday in surrogate court. Trouble, who once appeared in ads for the Helmsley Hotels, lived up to its name by biting a housekeeper while making the clip. "I direct that when my dog, Trouble, dies, her remains shall be buried next to my remains in the Helmsley mausoleum," Helmsley wrote in her will. 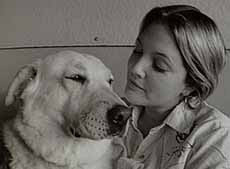 Back in 2001, everyone's girl next door Drew Barrymore, rewarded her dog with $3 million. On Dec. 10, 2001, Ms Barrymore, then 27, followed through on her promise to reward her life-saving pooch with a new dog house; 22 months earlier Drew and then husband Tom Green, were rescued from a fire by her dog Flossie. Drew fulfilled her promise of putting a roof over Flossies head for life by putting in Trust, a newly built 3,600-square-foot home. There are 4 doggie doors and 2 human doors so Drew can visit the dog anytime she wants. A kitchen with a Chef, 2 bedrooms and indoor plumbing.